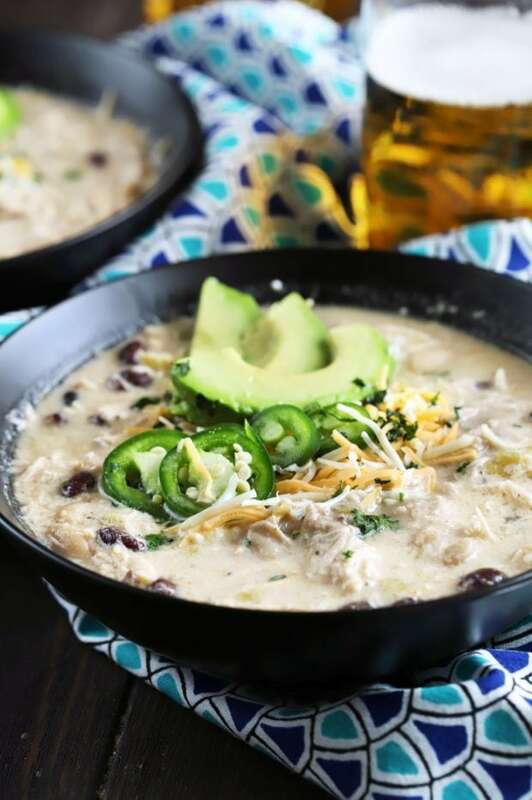 Slow Cooker Creamy White Chicken Chili is a comforting, flavorful soup that you will want to warm up with every night. 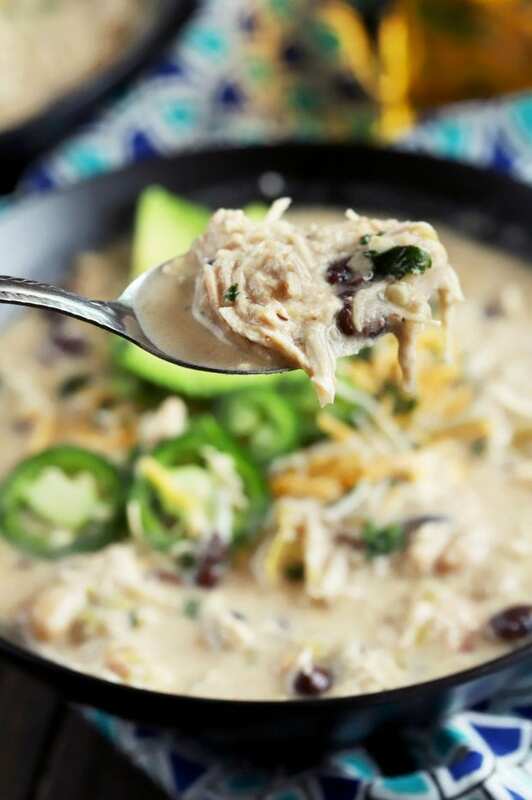 The combination of chicken, green chiles, and beans with cream cheese and heavy cream makes for a variety of textures with just the right amount of spice. 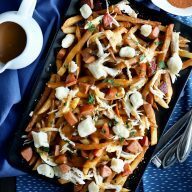 Plus it comes together in the slow cooker, so it’s the easiest recipe ever! Now that it is refreshingly cool and we are about a week into October, I feel reinvigorated. There’s something about the change in seasons that sets my soul on fire with happiness, particularly when it comes to the summer to fall transition. I used to only make one kind of chili, but for the past few years, I’ve been experimenting with different flavor profiles. This year, I think I have gone a ittle chili crazy, but every new recipe I make has been SO incredible I simply can’t stop myself from sharing it with you. 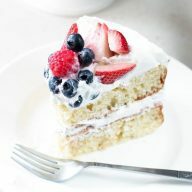 There are so many layers of flavors and textures in this recipe. 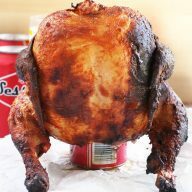 You get a slow cooked flavorful chicken that’s cooked for hours so it becomes so unbelievably tender. 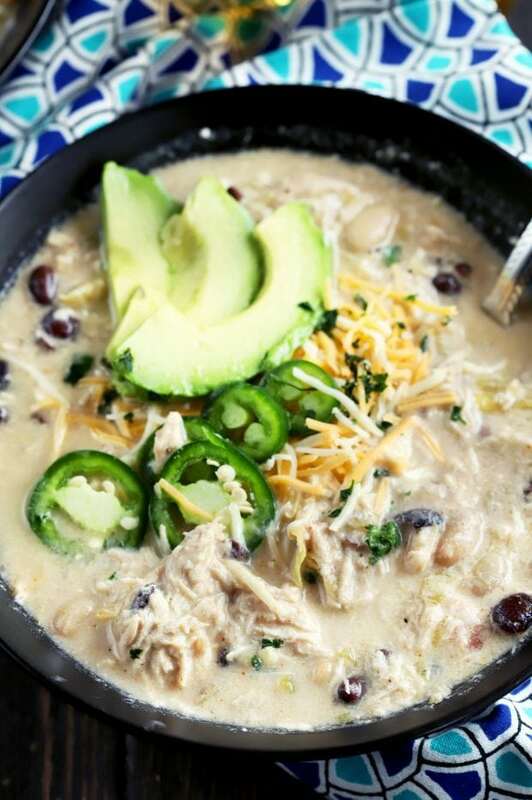 The beans and green chiles provide the texture, as well as a touch of heat. 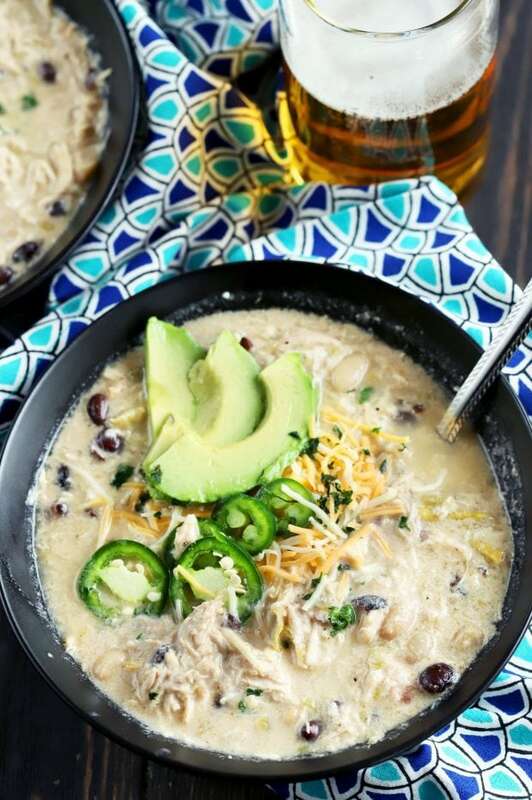 Top the slow cooker creamy white chicken chili with added cheese and jalapeños! 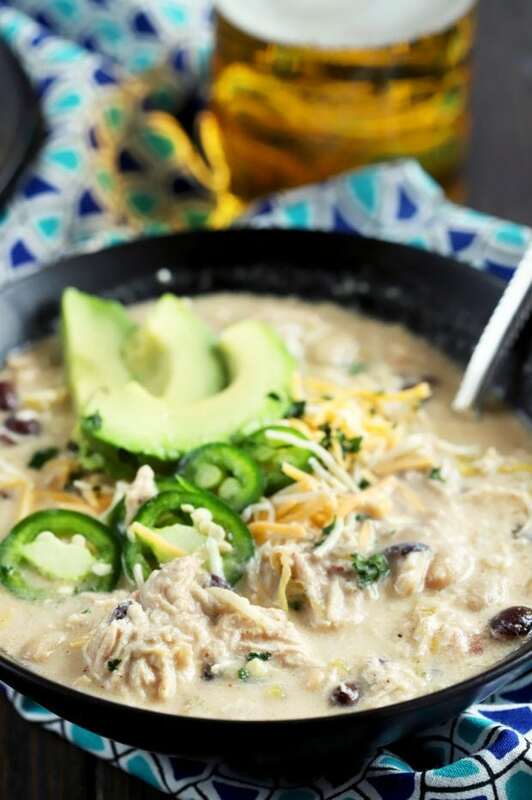 Add sliced avocado on top and it becomes an extra hearty dish! 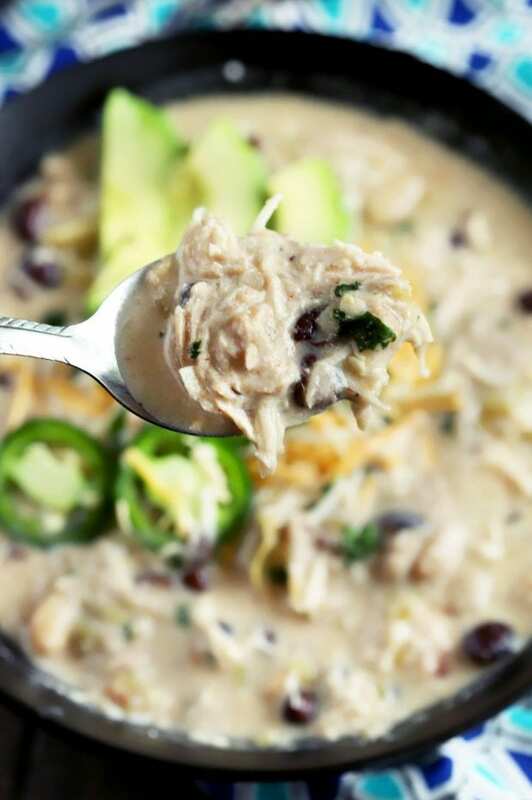 You are going to want to dive into the moment you get home from work.
. It’s a slow cooker. Also, it’s a pressure cooker. It is my number one fave appliance ever. YOU NEED ONE. is all you need to stir up the pot of goodness that is this chili! is one of those knives that is a must for any cook. It’s the best multi-purpose knife to have in your collection. is just the thing for you to spread out and really get those knife cuts right. 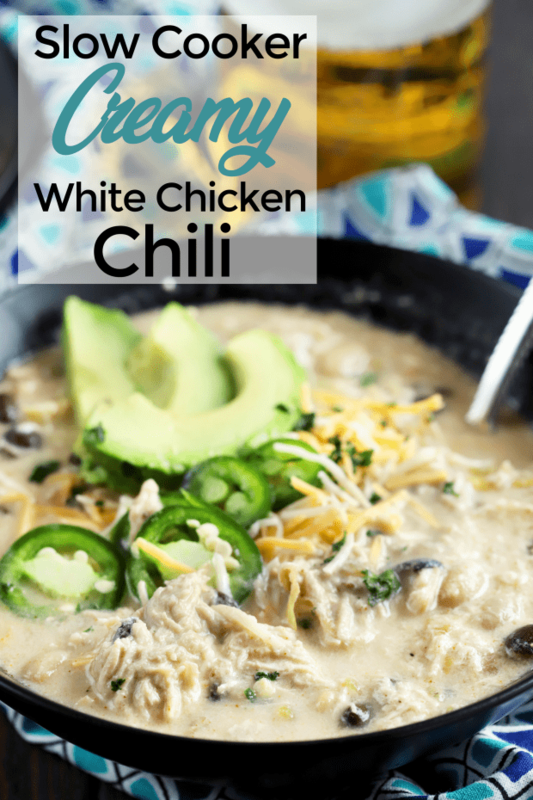 Pin this Slow Cooker Creamy White Chicken Chili recipe for later!